Products tested to the international industry standards, including BS EN, CE, UL, ANSI and BHMA, adapt to market conditions, 5 Year Mechanical Guarantee. Qualified experienced team who can help our customers find the right solution most suitable for their Needs, dedicated to a mutually-rewarding, long-term relationship. We are a SGS audit factory, over 12 years manufacturing experience in architectural hardware, competitive pricing in your market can help you get more profit. Own Design team, custom made solutions always possible, we always strive to add value and adapt to client market. We have always found the team at D&D Hardware a pleasure to work with. They are courtrous, helpful and have an excellent service. D&D Hardware is a treat to work with for corporate projects! They understand your budget and help you stick to your renovation schedule. Thank you for the friendly service. D&D Hardware is one of the best hardware manufacturer, I have ever worked with.D&D staff are well-trained, knowledgable, and offer solution to make project succeed. has over 12 year’s experiences manufacturing & suppling Architectural Hardware for Metal Doors, Fire Rated Door & Wooden Doors in China, such as Stainless Steel Door Hinges, Door Locks, Lever Handles, Door Closers, Exit Devices, Door Stopers, Door Bolts and Door Accessories etc, not only door hardware but also Door Opening Solution. The products that we offer are tested to the most stringent international industry standards ( European Standards & American Standards), including BS EN, CE, UL, ANSI and BHMA, Suitable for Education, Healthcare,Hotel, Covernment , Apartment building, Hospitality and Commercial applications. 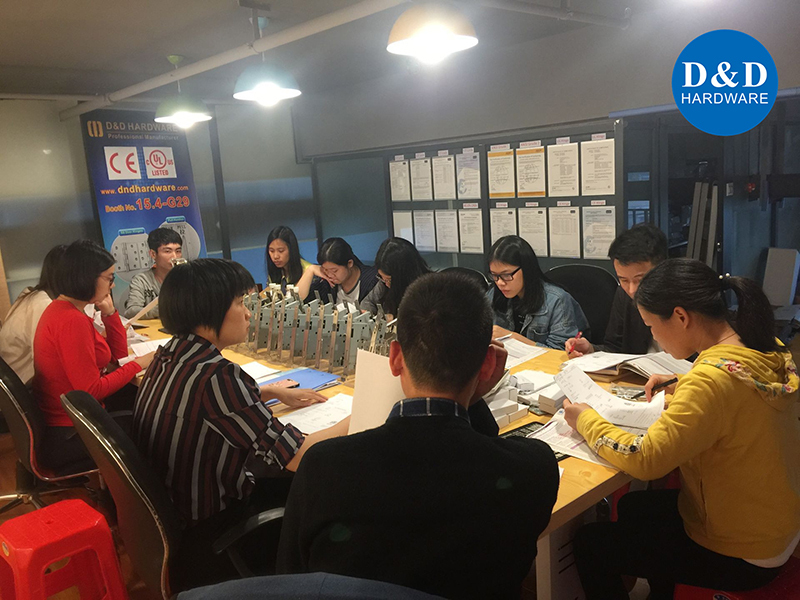 D&D has established long business relations with customers from Europe, Middle East, America and Asia, benefit from Product Certification, Expertise Knowledge, Quality Assurance, Competitive Pricing, Customization Ability and Geat Service. With our expertise knowledge, customization ability, great service and innovation, We believe we are capable to assist you to be prosperous in business.